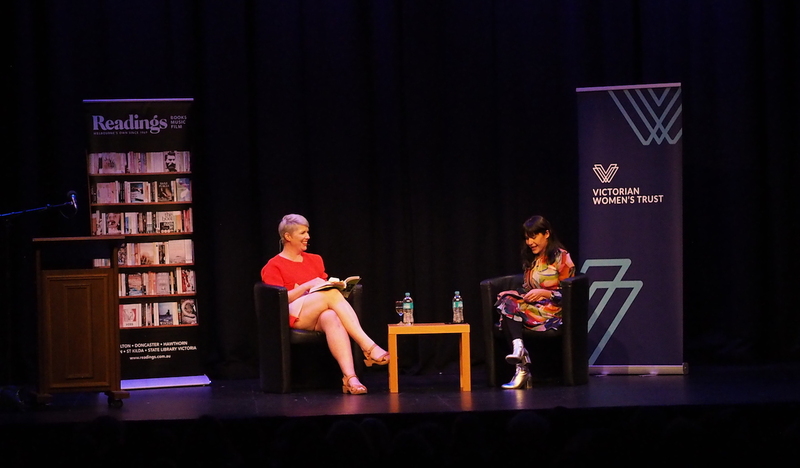 On the evening of Tuesday 25 September, Clementine Ford launched her hugely anticipated second book, Boys Will Be Boys, her follow up to the widely successful feminist text, Fight Like A Girl. 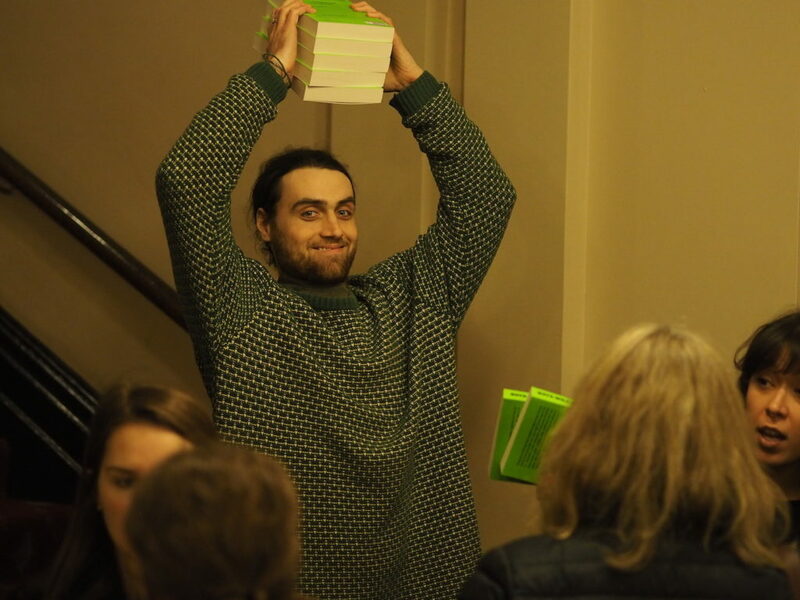 Victorian Women’s Trust (VWT) and Readings bookstore were proud to jointly catapult it into the stratosphere, and disperse the first falling copies among those attending the sold-out event at the Athenaeum Theatre. Clem spoke with SBS journalist and fellow feminist queen Jan Fran about the pressing and uncomfortable questions we are faced with as we try to create a new certainty that moves beyond patriarchy. How do we raise respectful and emotionally equipped boys, in a world that preaches male entitlement, privilege and power at the expense of others? How do we reconcile the fact that we’re terrified of all the ways girls can be hurt, but seemingly apathetic that our sons might be the ones to perpetuate it? It’s a convenient misconception many people have – that the men and boys who hurt women and girls are wholly bad people. We conjure up the idea they’re boogey-men who climb out of alleyway walls, commit awful acts and retreat back into the night. We omit their having affiliations and relationships, at least not with people we know anyway, least of all with ourselves. It helps us feel safer. The only thing scarier than the boogeyman that comes out of nowhere is the man that returns home, kisses us goodnight and falls asleep in our beds. 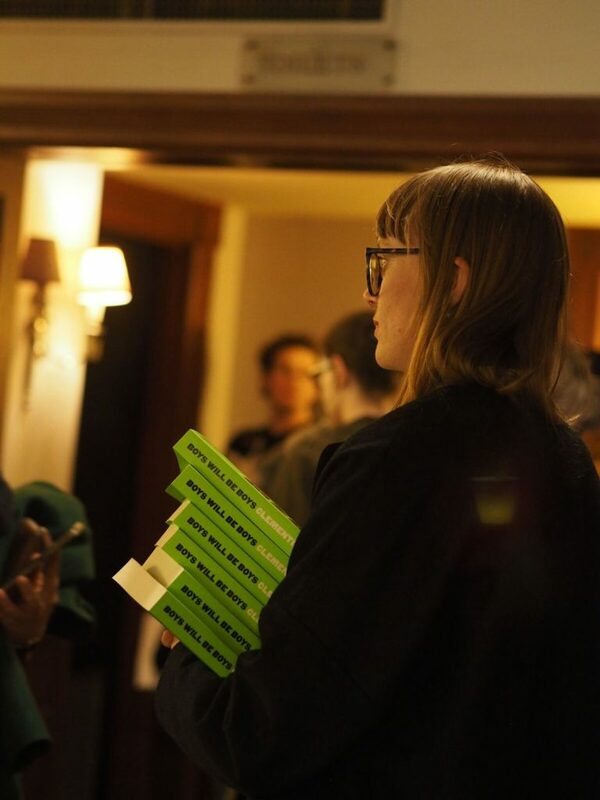 “But this book is not about men being sh*t”, she says. “This is about how the world that we live in enables men to do deeply sh*tty things”. Having a son has led Clem to drive this critical conversation about the adage, ‘boy’s will be boys’. With her new book, she seeks to talk honestly about the blows masculinity repeatedly inflicts. Dismantling patriarchy depends on boys and men being loosened from its grip. In order to do that, we need to collectively assess the real impact of this social conditioning, “not just on women and girls but also on men and boys”. According to Clem, men will need to “accept responsibility for doing the hard work to change it – hard work that will involve confronting some of the lies they’ve been told about what it means to be a man”. These ideas have become less controversial and more commonly discussed in the past couple of years thanks to the #MeToo and #TimesUp. 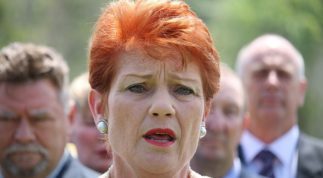 But we shouldn’t mistake this as a sign that it’s all over, warns Clem. “We continue to see [the apathy] in the constantly shifting goal posts, gas-lighting, and playing of devil’s advocate”. As we know, this immediately heralds the rejoinder rainbow, thrust up into the air by the sound waves of supposed nice guys bellowing their disclaimers as to why they shouldn’t have to hand in their man card (“noooooooooooot allllllllllll meeeeeeeeeeeennnn!”). Others are more proactive. Personally, I’ve had the good fortune to work with many great men, in tandem with equally fabulous women, on bringing about an initiative, Club Respect, which firmly embeds respect where myopic masculinity has traditionally harboured. The home of the man card; sporting clubs. 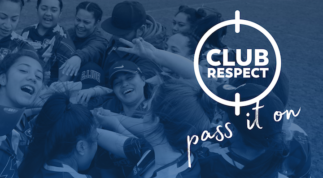 Club Respect, a harm prevention initiative created the Victorian Women’s Trust, Dugdale Trust for Women & Girls and NIRODAH, works to contest disrespectful behaviours by providing practical tools for clubs so they may embed policies and practices that support true and deep respect for the other – even when there is difference. The sheer number of Australians so routinely involved in sporting clubs position them as the ideal vehicle for this social change. By doing this work at the grassroots level, the space for violence and abuse simply cannot exist. We lose the capacity to damage one another. Boys Will Be Boys and Club Respect are two vastly different beasts burgeoning into a complex space. As more proliferate and dynamically intercept one another, the stratosphere’s climate ripens. The attitudinal change we need is a way off yet, but it is by no means beyond us. 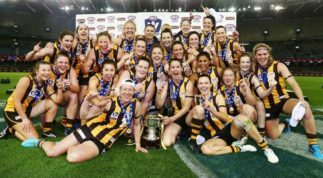 Clementine Ford and the Club Respect team are onto it, and if we throw our weight behind them, we can be certain of a vastly different future. Club Respect is a practical digital tool kit designed for sports clubs to reduce violent and abusive behaviour. 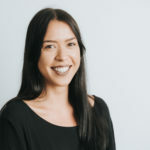 The official launch will feature Shelley Ware (TV Presenter, Marngrook Footy Show) and Brent Silva (General Manager, NRL VIC), plus an exclusive preview of the new Club Respect digital platform.